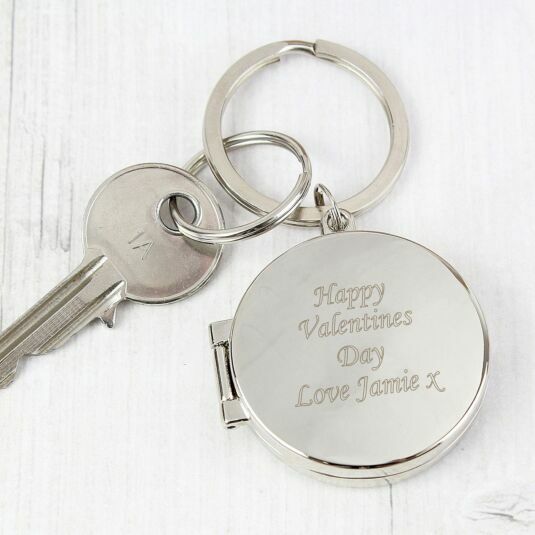 This silver finish keyring is reassuringly solid and comes with a strong ring to attach to your keys. 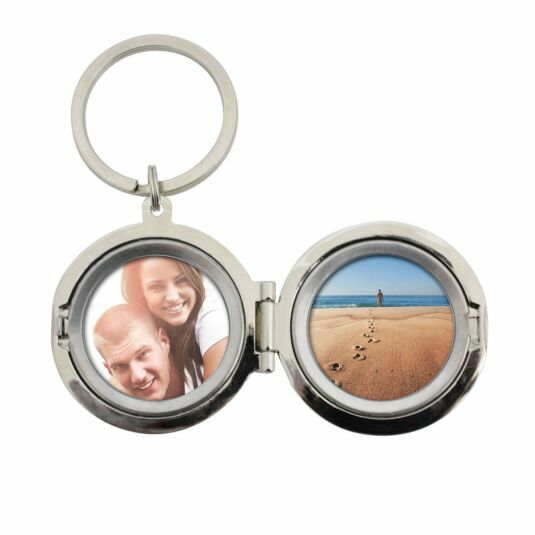 The keyring flips open to reveal two circular photo frames with protective clear plastic shields, each holding photos measuring 3 x 3cm. The keyring is hinged and clicks closed with a sturdy metal clip. 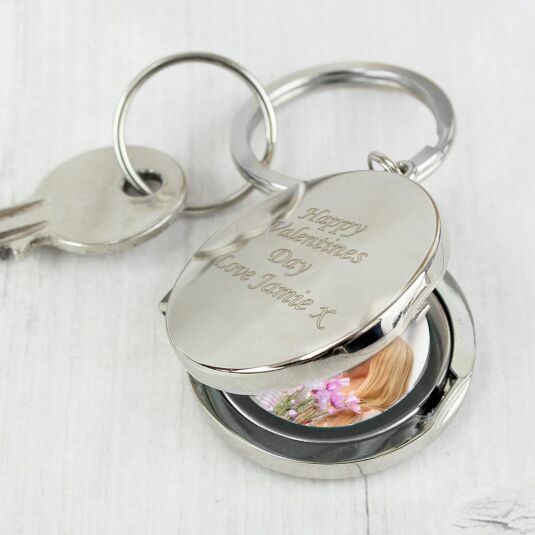 The silver tone polished keyring is a lovely keepsake, ensuring you always carry an image of your loved ones! It suits any occasion and makes a memorable birthday or engagement gift, and would be perfect for Mother's Day or Father's Day. Add a message across 4 lines, with a maximum of 12 characters per line.